"FieldFocus has been a valuable asset to my department and our Company. The ability to document and send in Safety Audits, Field Safety Visits and Accident Investigations has reduced our overhead travel and administrative time by eighty (80) percent. This program allows your Safety Personnel to spend more time in the field while dramatically reducing unwanted office time. The program is simplified for anyone to use as well as building site specific forms. I recommend this program to anyone that wants to streamline their operations in the field." - Brad M. Porterfield, CSHO, SHEP - Director of Safety Angel Brothers Enterprises, LTD.
"I see this as a valuable tool if used properly. Next step is to get the android version	up and running." - Sinks McLarty - Director of Operations Palazzos/Madernos. 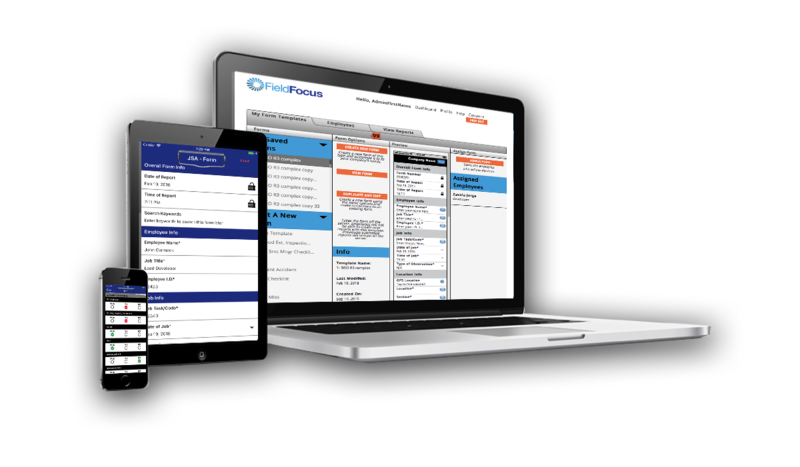 "I found the FieldFocus	App to be very helpful in the operations of our restaurant business. I would highly recommend this App to anyone in charge of running a restaurant. The ease of using it in our restaurants was very simple, quick and easy to apply." "Love the app. Super easy to create your own checklists, which is exactly what we needed to do."